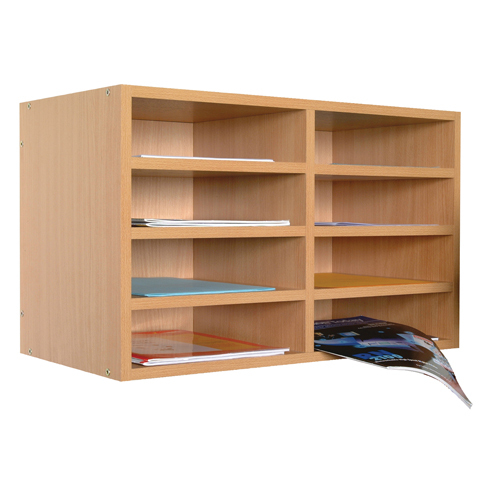 An 8 section wall mounted literature organiser constructed from beech effect laminated wood shell. Each section has a 75mm clearance. Ideal for storing a variety of office supplies. Easy to assemble with fixings included.